Resulting from an unidentified aircraft flying over the Hanford Engineering Company Plant at Pasco, Wash. on at least three nights in the past month (this Company is engaged in undisclosed projects for the War and Navy Departments) this HQ was requested by [Western Defense Command], about ten days ago, to move one [battery] of searchlights from Seattle to the Pasco plant. The Thirteenth Naval District has made arrangements for Naval Air Station, Pasco, to employ both radar and fighter aircraft in attempting interception of these unidentified aircraft. 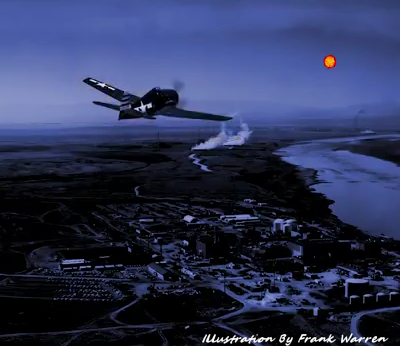 The airspace over the Hanford Company is both a Danger area and a Restricted area. Our battery of searchlights has been in place since 15 January; one incident has occurred since that date in which a brief radar contact was made—attempted night interception again failed. So here we have an official document referring an unidentified aircraft flying over the Top Secret Hanford atomic materials production plant on three occasions in January 1945. At least one of those “aircraft” was tracked on radar and successfully eluded the U.S. Navy fighter sent up to intercept it. In conclusion, declassified military documents confirm the events described by former USN fighter pilot Bud Clem. Unfortunately, when Robert Hastings attempted to notify Clem of the discovery of those documents by Jan Aldrich, in July 2014, he learned that Clem had died the previous month.